As the skinny and wimpy 18-year-old girl that I am, I do not always feel safe going out on my own. Whenever I’m out on my own, there’s always this fear in the back of my head. Maybe it’s because I’ve been warned about the dangers of the ‘outside world’ so much that the fear has taken hold of my psyche. But it’s probably because I know that if I happened to encounter an aggressor at any point, I would be completely unprepared (and probably die). Besides exercising to keep myself healthy, I wanted to do something that would change that innate (and maybe even irrational) fear in me. Learning self-defense will not change the cautions that I take every time I step out of my home, but it will enable me to feel less… constrained. Fearful. And more bold and daring. So, what does this self-defense class consist of? There are many martial arts being practiced, but I was recommended to go to this Systema (Russian) martial arts self-defense class, where I would be able to learn the ‘street’ defense skills directly. My classes are 3 times per week, 1.5 hours per class. My teacher mentioned that I would need at least 3 months to get acquainted with this martial art, but I just started nearly 2 weeks ago, so I’ll need to see how I progress before I make further decisions. The teacher dictates the class in a very dynamic way: every class is different, and physically draining. Fortunately, there are always only a few people per class, so I am able to get a more personalized training. The only ‘negative’ aspect that I’m not crazy about is the physical contact that goes with this training. The exercises that we do are usually in pairs, and most of the time you have to stay close to your opponent/victim, for strategy purposes. 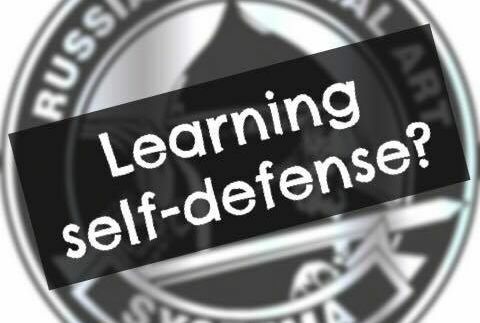 What is ‘Systema’, and how is it an efficient form of self-defense? It’s a psychological and spiritual martial art. All the exercises and activities that we do with our partners are to help us become familiar with such situations, to the extent that we can react naturally. In order for us to do that, the body has to be calm, free of tensions, and flexible. To achieve this, we do exercises that consist of breathing and releasing our body tensions. It’s all about the principles of the human body. I’m a girl, and not a very strong one. If I ever encounter an aggressor, he’ll most likely be bigger and stronger than I am. Systema teaches you to understand one’s body structures and weaken your opponent in such ways – the elbows, knees, ankles, etc. There are several training methods. So far, I have experienced hand-to-hand combat, wrestling and knife fighting. Training in such way prepares oneself for any situation that they may encounter in their daily lives (very useful). In summary, Systema is a physical, spiritual and psychological martial art. It helps you understand yourself, the strengths and weakness of the human body, and defend yourself with that knowledge. So far, I’m thoroughly enjoying the classes, as I always learn something new and improve previous skills. In terms of practicality, the 3 human abilities (physical, spiritual, psychological) practiced in class are skills that I can use to work on other aspects of my life. In other words, it’s applicable to real life situations, and that’s what I was hoping for.